It’s hard to fathom that a group of friends that had an idea to host a fly-In 45 years ago would see the event grow to be the second largest aviation expo in the world. No one imagined at that time that it would become a wonderland of sights, sounds, and activities that aviation enthusiasts of all ages, backgrounds and interests would enjoy during an annual 6-day event. This year’s SUN ‘n FUN Fly-In is “Shooting for the Stars” in more ways than one…or should we say five! 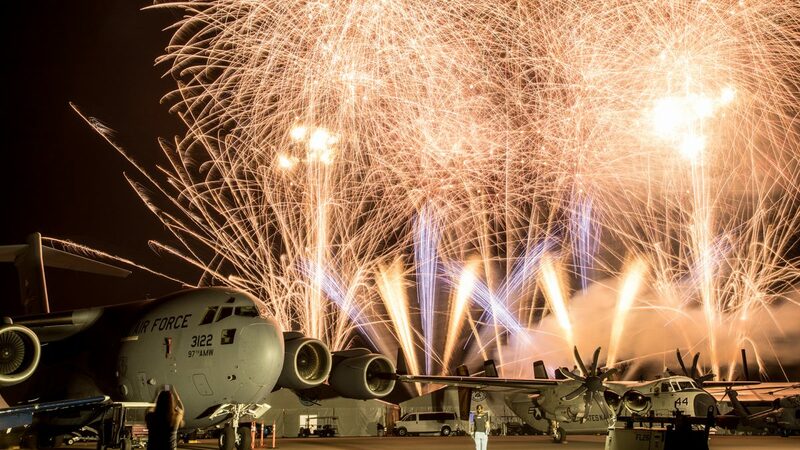 The SUN ‘n FUN “Star Dance Spectacular”, the first public drone light show performance at a Florida airshow, will take place during the night airshows that begin at 7:30 PM on Wednesday, April 3rd and Saturday, April 6th. Over 60 of the specialized aerial robots will lift off together, taking flight twice during the week-long event. SUN ‘n FUN organizers are confident that this dazzling multi-colored aerial light display set to music will be one of this year’s most memorable highlights. Each night airshow also includes a fireworks display that will fill the sky with enormous bursts of color. Catch the action among the Warbirds and its a sight to remember! 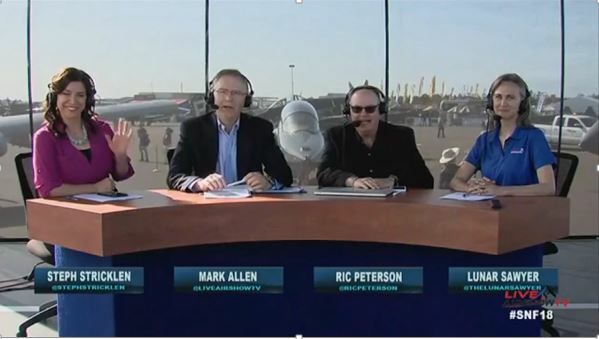 LiveAirshowTV returns with wall-to-wall coverage of all the action at the best aviation gathering of the year! This year’s “celebrity stars” aerial performers, along with aviation industry icons, will be interviewed at flight line center – the Preflight Stage! Join the audience and cheer on your favorites – just like a pregame show. Can’t make it to the SUN ‘n FUN Fly-In? No problem. The airshow will be live streamed too. Catch the action Friday, April 5th through Sunday April 7th starting at 11:00am ET. Sparks will be flying! You won’t want to miss the dramatic, intense reenactment of a downed pilot being rescued during the Vietnam conflict presented by the Cavanaugh Flight Museum. The pilot has been shot down, the odds are against him. He calls for help, and you can see the daring rescue LIVE. Pyro, gun runs, and a harrowing airlift into a UH-1 helo are all part of the thrills, expertly narrated and choreographed. This performance is scheduled for Saturday, April 6th and Sunday April 7th. Lights, Cameras, Action! She’s a legend and everyone stops and stares each time she passes by. She’s a B17 and truly is a movie star! 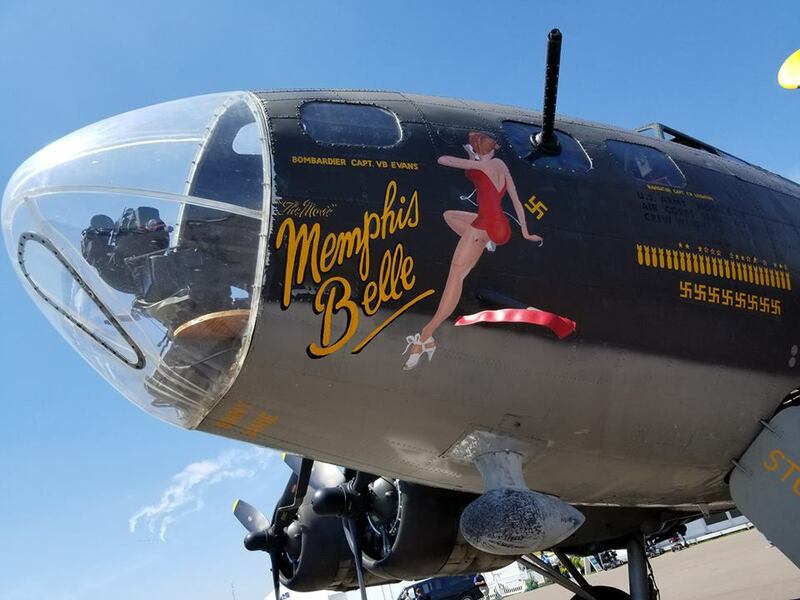 A crowd favorite returns to SUN ‘n FUN – The Movie Memphis Belle, and she will be available for rides all week. If you’re looking to put a check mark next to that item on your bucket list – don’t hesitate and book yours now at www.nationalwarplanemuseum.com. On Saturday, April 6th, become a star yourself by running a 5K that will begin on the Terminal Ramp at the Lakeland Linder International Airport (LAL) with the starting line flanked by the U.S. Navy Blue Angels. During the 2019 SUN ‘n RUN, you will be able to witness the launching of over twenty hot air balloons as the course winds its way down Runway 5/23, Taxiway A, and across various other connecting taxiways and ramps to the finish line. Proceeds will be used to provide scholarships for students to attend the Destination Aviation Summer Camps located at the Aerospace Center for Excellence – the beneficiary of the SUN ‘n FUN Fly-In! To register, go to www.lakelandairport.com. Come join us at the SUN ‘n FUN International Fly-In and Expo April 2nd – 7th and find your stars! For additional details and ticket information: www.flysnf.org.